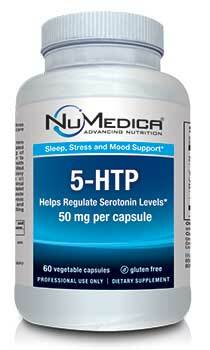 NuMedica 5-HTP is designed to help promote healthy brain function and maintain optimum serotonin levels. Seratonin is needed for mood regulation as well as to maintain normal sleep patterns. 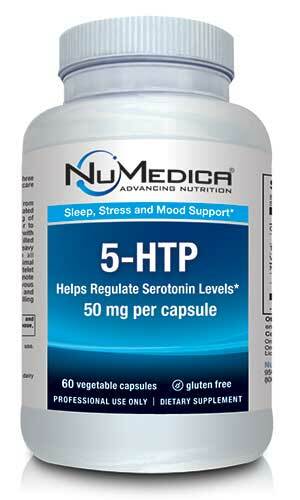 If you've been suffering from insomnia or anxiety, you may find relief by taking a 5-HTP supplement. 5-HTP 50 mg - 60c 1 Capsule 60 Adults take one capsule up to three times daily on an empty stomach or as directed by your healthcare practitioner. 5-HTP 50 mg - 120c 1 Capsule 120 Adults take one capsule up to three times daily on an empty stomach or as directed by your healthcare practitioner. Other Ingredients: HPMC (vegetable capsule), microcrystalline cellulose, silicon dioxide.